But are girls getting the right message? 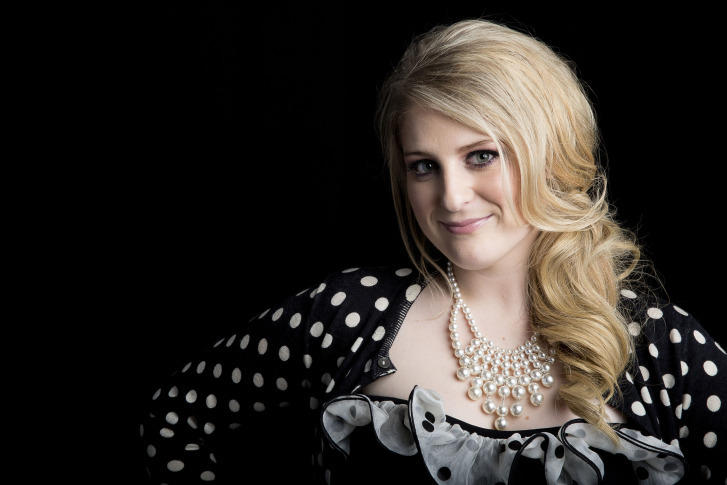 Meghan Trainor's new song deals with her own body image struggles. WASHINGTON — When 20-year-old singer-songwriter Meghan Trainor sat down with her producer, she told him she wanted to write a fun song for the world. Little did she know that song, “All About That Bass,” would top the Billboard Digital Pop chart and sell more than a half-million copies. In a YouTube video, Trainor explained she wanted to do a song about loving yourself and loving your body; she says girls don’t love themselves as much as they really should. The tune was written with Trainor’s own body image struggles and insecurities in mind. Trainor had already established herself as a talented songwriter at age 19 by writing for Rascal Flats and Sabrina Carpenter. In the beginning of 2014, L.A Reid, from Epic Records, heard her demo “All about that Bass” and signed her to a solo contract. While the tune takes on Photoshop, Barbie dolls and celebrates the sizes and shapes of both men and women, Schachter thinks the message may be a bit muddled because of some questionable lyrics. Follow @WTOP on Twitter and on the WTOP Facebook page.